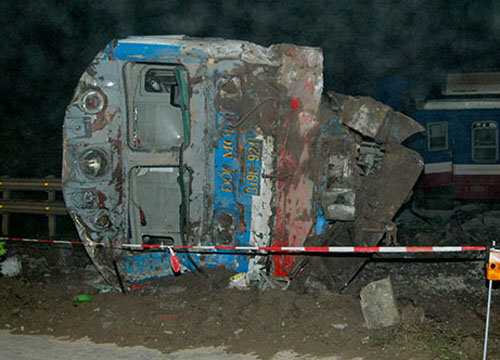 The train collided with a container truck in the central province of Nam Dinh early this morning. 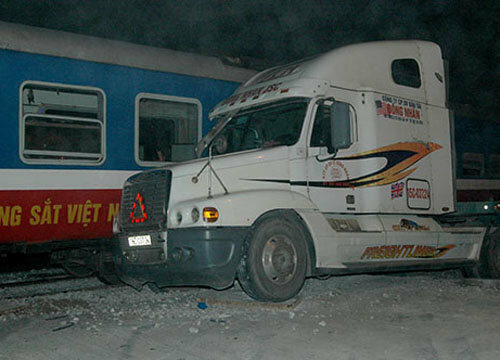 NAM DINH (VNS) — Two train drivers were injured when a Ha Noi-bound train, carrying 315 passengers, collided with a container truck in the central province of Nam Dinh early this morning. The truck, being driven by 41-year-old Chu Van Thang from the northern Hai Phong city and carrying 25 tonnes of rice, was crossing a railway line when it was hit by the train. The crash derailed the train's head which fell onto the adjacent Highway No 10. None of the train passengers were reported to be injured.